Voice-over-internet-protocol (VoIP) phone services are internet-based alternatives to traditional landline phones with features like auto-attendants, voicemail, and customer relationship management integration. We evaluated the best VoIP providers and narrowed it to the six best. Then, we compared their price, features, and more to learn who each is right for and which is the best overall. VoIP phone systems should be affordable and offer service plans at price points that accommodate a range of budgets. The service should be easy to set up and use, and also backed by reliable customer support. Features like auto-attendants, voicemail, and CRM integration should be intuitive, user-friendly, and help businesses manage calls efficiently. Nextiva is a moderately priced VoIP provider that ranks as our top business phone system with advanced features like auto-attendants, voicemail-to-email transcription, conference call capabilities, and unlimited calling as well as industry-leading customer support. This makes it the best all-around option for solopreneurs and small businesses owners who want the best combination of features and service at an affordable price. Click here for a free demo. Nextiva offers three service plans. Pro starts at $34.95 per month, Pro Plus starts at $37.95 per month, and Enterprise starts at $44.95 per month. Pricing is per user, and prices decrease as more users are added. Additional cost savings are available with long-term contracts and prepaid agreements. Nextiva’s Office Pro package includes unlimited domestic calling, free local and toll-free phone numbers, and an auto-attendant. This tier also offers voicemail-to-email transcription and a cloud private branch exchange (PBX) to receive and route incoming calls. Nextiva Office Pro is a good fit for small companies and teams wanting basic VoIP phone service. However, this tier lacks the conference bridge, mobile apps, and call recording features found in upper levels. It’s also missing short message service (SMS) and messaging offered in Vonage’s first-level package, but this plan is priced similarly to other tier one packages on our list. Nextiva’s Office Pro Plus package adds SMS messaging, one professionally recorded greeting, and a conference bridge for calls with up to nine participants. This tier also includes mobile apps and Team Presence, allowing users to set their availability status within the Nextiva app. We recommend Nextiva as the best VoIP app for sales people who want to send faxes via mobile. The Office Pro Plus plan is a good fit for business owners and teams who want to stay connected while outside the office. This package lacks the reporting, call recording and customer relationship management (CRM) features offered at Nextiva’s highest tier level. It also doesn’t offer two local or toll-free phone numbers like Phone.com’s mid-level plan. However, unlike Phone.com, Nextiva offers users unlimited SMS messaging. Nextiva’s Office Enterprise plan includes inbound and outbound call recording and three professionally recorded greetings. It also adds CRM features and tools for analytics and reporting. Office Enterprise is a good solution for business owners who want to capture call data for quality assurance and strategic planning. On the whole, Nextiva offers most of the standard phone system features business should expect from a VoIP phone service provider, but Nextiva’s primary differentiator from other solutions is the high standard of customer support it delivers. New customers are assigned a single point of contact that remains in place from setup and training to ongoing support and is a reason why it was named as our top pick in our comparison for business phone systems. Nextiva delivers the best balance between features and price. However, it’s missing a few of the more advanced features that RingCentral offers, such as unlimited video meetings with screen sharing, integrations with Microsoft, Google Box, and Dropbox, and toll-free minutes. Nextiva’s customer support services include an online ticketing system, live chat, and comprehensive knowledge base. Phone support is also available from 5 a.m. to 6 p.m. Pacific time, Monday through Friday and 6 a.m. to 6 p.m. Pacific time, Saturday and Sunday. Our readers give Nextiva positive ratings with an average of four out of five stars. Customers are happy with Nextiva’s customer service, saying that representatives are helpful and professional. However, users also say Nextiva is difficult to install and use, and they complain of frequent downtimes. Businesses wanting an affordable business phone system with the best combination of standard features and reliable customer support should check out Nextiva. In addition, the company offers a free demo of its product when you contact the sales team. Visit Nextiva’s website for details. RingCentral is a VoIP phone service with unlimited calling, a multilevel auto-attendant, and robust voicemail and conferencing. While it is a more expensive option, its advanced features, as well as its scalability and generous toll-free minutes, set it apart from other VoIP providers. This makes RingCentral a good option for those looking for enterprise-level features like large sales teams or call centers. Click here for a free trial. RingCentral’s prices for up to 10 users range from $29.99 to $39.99 per month. Unlimited user plans range from $34.99 to $44.99 per month. All plans have an annual contract option for a discount on the cost per user. Customers who pay by the month can cancel any time without penalty. RingCentral Essentials includes 100 toll-free minutes, unlimited audio and video meetings for groups of up to four people, and unlimited calling. This level also includes visual voicemail, voicemail-to-email, integrations with Microsoft, Google, Box and, Okta and is right for small teams and businesses wanting no-frills VoIP phone service. However, this tier doesn’t offer a large bucket of toll-free minutes or the multilevel auto-attendant features found in the higher level packages. It’s also missing CRM integration and media storage found in 8×8’s entry-level package. However, not all solutions offer basic packages with audio and video conferencing, which is a nice feature of this plan. RingCentral Standard includes 1,000 toll-free minutes and adds a multilevel auto-attendant with several call routing features, including the ability to direct calls to multiple locations or external phone numbers. This plan also includes call log reports to track inbound and outbound calls. This plan doesn’t offer as many toll-free minutes as the higher-level packages automatic or the call recording feature found at the next level. It also lacks an operator switchboard as offered by 8×8’s mid-level plan. However, this tier offers more toll-free minutes than other VoIP providers. RingCentral Standard is right for sales teams and call centers wanting a VoIP phone service with inbound call management tools. RingCentral Premium is designed for businesses with larger teams or higher call volumes and includes 2,500 toll-free minutes as well as unlimited audio and video meetings for up to 100 people, eliminating the need for standalone conferencing software like GoToMeeting. In addition, this tier also adds automatic call recording and voicemail transcription-to-text. Overall, while RingCentral offers many of the same features as other VoIP phone service providers, its unlimited video meetings, generous toll-free minutes, and integrations with business apps work together to give small businesses more options to serve customers better. RingCentral Premium is a good solution for larger call centers and business wanting digital records of calls for quality assurance, training, and compliance purposes. As the most fully featured VoIP phone service that we reviewed, RingCentral isn’t missing any of the key features of its competitors. However, this comes at a higher cost. What RingCentral is lacking is affordability for smaller teams as it’s the highest priced service we reviewed and costs more than the RingCentral alternatives, Nextiva and Phone.com, despite both of those services offering similar features. RingCentral offers an online knowledge base, phone support from 8 a.m. to 9 p.m. Eastern time, online chat 24/7, and ticket requests. However, RingCentral only provides United States-based direct support for accounts with more than 20 users. For the rest, customer support requests are outsourced offshore. RingCentral also offers weekly webinars on a range of topics for new users who are looking for more self-directed service options. Our readers give RingCentral positive ratings with an average of four out of five stars. Customers say RingCentral has all the features that a small business needs. However, some users are disappointed with RingCentral’s customer service, reporting long phone queues and email response times. Call centers and sales teams wanting a full-featured VoIP phone service with audio and video conferencing, toll-free minutes, and business app integration should look at RingCentral – we rated them one of the best join.me alternatives for an conferencing calling and complete VoIP service. The company offers a free trial of its product and 30-day money back guarantee when you purchase an account. Check out RingCentral’s website for details. 8×8 is a VoIP phone service provider offering features like text messaging, conferencing, and call storage. However, the feature that sets it apart from the competition is its unlimited international calling plans, supporting up to 47 countries. While 8×8 is not the most economical option on our list, it is good for businesses with international clients or customers. Click here for a free quote. 8×8 offers three packages, all with international calling. The X2 plan is $25 per user, per month with calling to 14 countries. The X5 plan is $35 per user, per month with a calling radius of 32 countries. The X8 plan is $55 per user, per month with a calling zone that includes 47 countries. 8×8’s X2 tier includes a phone number, unlimited calling to 14 countries, audio and video conferencing for up to five people, and 1GB of media storage. This level also includes voicemail, CRM integration team messaging, and an auto-attendant. 8×8’s X2 is a good choice for sales teams, consultants, and business owners that want basic VoIP phone service with customer relationship management tools. This plan is missing the operator switchboard and call recording offered with the upper-level packages. It also lacks the voicemail-to-email transcription featured with Nextiva’s basic plan. However, this is the only VoIP provider on our list to include unlimited international calling with a tier-one plan which may be a more valuable feature for some companies. 8×8’s X5 plan adds call recording, call conferencing for up to 25 people, 5GB of media storage, and unlimited international calling to 32 countries. This tier also includes an operator switchboard for routing and transferring calls from a computer browser or Polycom desk phone. 8×8’s X5 plan is right for businesses that want a larger international calling radius and the option to record calls. This tier lacks reporting tools and the contact center package offered at the premium level. It’s also missing hold music offered by Phone.com’s mid-level plan. However, with an even wider scope for international calling the lack of those features may not be a deal breaker for organizations with overseas customers and clients. The 8×8 X8 package adds reporting tools and a contact center package with 2,000 domestic calling minutes and three months of call recording storage. Additional contact center features include a set of auto-dialers and interactive voice response technology. X8 is the right choice for companies wanting a business phone system with contact center integration. 8×8 sets itself apart from its competitors with generous international calling plans to more than 40 countries. For small businesses that use their phone system to make a lot of international calls, this VoIP phone system provider may offer significant cost savings over the long-term when compared to options like Nextiva and RingCentral. 8×8 is missing integration with business and CRM apps like Dropbox and Salesforce. 8×8’s upper tiers also lack the affordability of some of its competitors, but businesses that make a lot of international calls may prefer an unlimited global calling plan over the per-minute rates offered by VoIP providers like Phone.com. 8×8 offers a comprehensive online knowledge base, live chat, and phone-based support. 8×8 also crowdsources part of their support team from among their most active power users, who then share their first-hand insights, experience, and knowledge of the service with other customers. Our readers give 8×8 a mix of ratings with an average of three out of five stars. Users say compared to other VoIP systems, 8×8 offers more features for a lower price. However, some customers report generally unreliable service, from phone quality to the customer support. Businesses that make and receive a lot of international calls and want the predictable billing that comes with unlimited calling plans should consider 8×8. Call a solutions specialist at the company’s toll-free number to sign up for an account or request a customized quote through 8×8’s website. Get started today. Vonage is a VoIP phone service provider that offers unlimited calling, video meetings, file sharing, and chat. This makes Vonage best for consultants and sales teams that use collaboration tools to stay connected. Vonage’s pricing is industry standard. However, a la carte features could add to the bottom line quickly. Click here for a free quote. Vonage offers three packages. Mobile starts at $19.99 per month, Premium starts at $29.99 per month, and Advanced starts at $39.99 per month. Pricing is per user, and prices decrease as more users are added. Plans include unlimited calling, text, and more. A la carte options are also available for added customization. Vonage Mobile includes unlimited calling, SMS messaging, voicemail, and team messaging through the mobile and desktop apps. This level also includes call management tools, call screening, and call continuity to prevent service interruption during a power or internet outage. Vonage Mobile is right for distributed and remote teams or businesses without a central office. This tier doesn’t include CRM integration, video conferencing, and the multilevel auto-attendant offered at the next level. It also lacks a free local and toll-free phone number offered by Nextiva’s first-level price plan. However, a local phone number is available for an additional $9.99 per month, and a toll-free number is available for an additional $39.99 per month. Vonage Premium adds video conferencing, chat, and file sharing through Amazon Chime to desktop and mobile devices for up to 100 people. This level also includes a multilevel auto-attendant and CRM integration for Salesforce, SugarCRM, Zoho, and more. Vonage Premium is right for companies wanting a VoIP phone system that communicates with their business apps and customer relationship tools. This tier lacks the call recording and visual voicemail offered at the premium level. It’s also missing a conference bridge and online faxing offered standard by Nextiva. However, both features are available for an additional $14.99 per month, plus 3 cents per minute $14.99 per month, respectively. Vonage Advanced adds visual voicemail and 15 hours per month of on-demand call recording allowing employees to decide when they want to record calls. It also includes “call group” to forward calls to multiple extensions simultaneously. At $39.99 per user, per month, Vonage Advanced is a good choice for business owners wanting assistance setting up new VoIP phone service. Altogether, Vonage offers many of the same call management features as its competitors, whether standard or a la carte. However, its partnership with Amazon Chime that integrates communication and collaboration tools with Vonage’s VoIP phone service sets the solution apart as a complete VoIP provider for business collaboration solution. We recommend Vonage as one of the best cheap VoIP options for businesses looking for volume discounts. Vonage is missing a few of the more advanced features that Nextiva and RingCentral offer like unlimited video meetings with screen sharing, business app integration, and toll-free minutes. And while Vonage is more affordable than RingCentral, it’s more expensive than Nextiva and significantly more expensive than 8×8. To learn more about what it’s missing, check out our detailed comparison articles on Nextiva vs. Vonage and 8×8 vs. Nextiva. Vonage offers phone-based support Monday to Friday from 8 a.m. to 11 p.m. Eastern time and 24/7 emergency on-call support. In addition, it offers a business support website with an online knowledge base, getting started guides, technical troubleshooting, and a guide for many of its individual features. Our reader reviews are mixed with an average of two out of five stars. Some customers say Vonage’s call quality is better than other VoIP systems out there. However, others report that customer support is slow to respond to users who do experience call quality issues. Organizations and teams that rely on collaboration tools like video meetings, file sharing, and chat should consider Vonage. The company offers a 14-day free trial to try before signing up for an account. Visit Vonage’s website for details. Phone.com is a VoIP phone service that offers bundles of calling minutes with features like call conferencing, voicemail-to-email, and an auto-attendant. Its first-tier pricing is the least expensive on our list, and the remaining tiers are on par with Phone.com competitors. This makes it right for solopreneurs and budget-conscious small businesses that don’t place or receive a lot of calls or who don’t need unlimited calling plans. Click here to learn more. Phone.com offers three price plans that include a bundle of calling minutes and text messages. Plans range from $12.99 for 300 monthly calling minutes and 5,000 text messages to $39.99 for 1,000 monthly minutes and 20,000 texts. Unlimited calling is also available for each plan for an additional cost. Phone.com’s Base plan includes one local or toll-free phone number with 300 minutes of monthly calling time, and 5,000 SMS messages. This tier also includes call conferencing, voicemail-to-email, and an auto-attendant. The Base plan is a good choice for solopreneurs, freelancers, and small teams that don’t require a lot of calling minutes. This plan doesn’t include premium hold music, voicemail-to-text, or call recording found in Phone.com’s upper-level packages. It also lacks team messaging and media storage offered with 8×8’s basic plan. However, this is one of the lowest-priced plans on our list, which is a benefit for teams and businesses on a budget. Phone.com’s Plus plan includes two local or toll-free phone numbers with 500 minutes of calling time. This level also features 10,000 SMS messages, voicemail-to-text, and premium hold music. This package is right for businesses that communicate more frequently over text than by phone. This level is missing video conferencing, call recording, and call analytics offered with Phone.com’s premium plan. It also doesn’t feature professionally recorded greetings, a feature of Nextiva’s mid-level plan. However, most VoIP providers include only one free phone number per service plan, so the additional number with this plan is an added value. Phone.com’s Pro plan includes three local or toll-free phone number with 1,000 minutes of calling time. This level also includes 20,000 SMS messages, call analytics, call record and save, and video conferencing for up to 25 participants. This level is good for business owners who want call data and analytics to help with business planning. Overall, Phone.com’s feature set is similar to what other VoIP phone service providers offer. In addition to a budget-friendly service plan for businesses with low calling needs, Phone.com stands as one of the few providers to offer low-price calling to certain countries outside the U.S. Customers can use their calling minutes to dial landline numbers in Canada, France, Germany, Israel, Italy, Puerto Rico, and the United Kingdom. Phone.com lacks CRM integration and call analytics as standard features with any of its service plans. 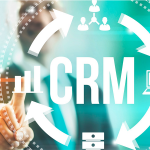 However, CRM integration is available for an additional fee by contacting Phone.com’s sales team for a quote and call analytics are available for $3.99 per month. Businesses wanting a VoIP provider that includes these features free should consider Nextiva or 8×8. Phone.com provides online getting started guides, troubleshooting guides, and frequently asked questions. They also offer personal support by telephone, online chat, and email 365 days a year. Live support is also available in Spanish from 8 a.m. to 6 p.m. Pacific time, Monday to Friday. Our readers give Phone.com mixed reviews with an average of three out of five stars. Customers like that the service is inexpensive and flexible plans allow users to add features as needed. However, some say Phone.com is unreliable with frequent down times. Solo business owners and small teams that don’t make a high volume of calls or need plans with unlimited minutes should consider Phone.com. Base plans include a 30-day money back guarantee. Visit Phone.com’s website for details or to set up an account. Grasshopper is a VoIP phone service and virtual business phone number that gives users a business phone number on their mobile or personal phones. It also offers features like call forwarding, Wi-Fi calling, business texting, and voicemail transcription. It’s best for solopreneurs wanting a moderately priced business phone number they can use on either their mobile device or landline. Click here to try Grasshopper with a 30-day money-back guarantee. Grasshopper offers three plans that all include the same features like a local phone number, unlimited calling, and voicemail for one monthly price. The $29 Solo plan includes one number and three extensions, the $49 Partner plan has three numbers and six extensions, and the $89 Small Business plan includes five numbers and unlimited extensions. Grasshopper’s features include unlimited domestic calling, desktop, and mobile apps, call forwarding, Wi-Fi calling, inbound fax, business texting, and voicemail and voicemail transcription. Additional phone numbers are available for a small fee through the customer support team, and international calling is available at a per-minute rate based on location. Grasshopper’s automated attendant answers inbound calls, then forwards it to the employee or the department the customer or client is trying to reach. Similar to Nextiva and 8×8’s auto-attendant, users can record personalized messages and announcements via Grasshopper’s desktop app to use with the system’s custom phone greeting feature that plays automatically when a customer calls. Grasshopper accounts include one to five phone numbers and a bundle of extensions, depending on the plan selected. Additional phone numbers are available for a small fee, and extra extensions can be added by contacting customer support. We recommend Grasshopper as the best alternative to Google Voice because it gives your business room to grow with more lines. Most VoIP providers offer one free phone number per account and unlimited extensions. However, Phone.com also offers multiple numbers with its mid- and upper-level packages. Grasshopper’s call management tools include call forwarding, call transfer, call block, and custom call control schedules for your business hours. Like Vonage and Phone.com, Grasshopper also offers call screening. This feature allows you to hear the caller’s name or number before deciding whether to take the call, which is helpful if you take personal and business calls on the same phone. We recommend Grasshopper as the best alternative to services like Ooma if your business needs a virtual phone service rather than a full VoIP phone service. Grasshopper provides a comprehensive online knowledge base, which is organized by the service’s most common features and frequently asked questions. For more personal assistance, Grasshopper also offers telephone support (although they don’t specify hours of availability) and the option to open a ticketed case should your issue require escalation. Grasshopper lacks advanced calling features that larger VoIP providers like Nextiva or Vonage offer, but this is reflected in Grasshopper’s lower cost. However, because Grasshopper is a virtual phone service, the most significant missing feature is the phone service itself. That means you’ll use your mobile phone plan’s minutes in addition to Grasshopper’s. Our readers give Grasshopper mixed reviews with an average of three out of five stars. Most customers are satisfied with Grasshopper’s pricing and customer support. However, some reviewers say it took days or weeks to get their phone number back from Grasshopper after canceling their account. Solopreneurs and very small business owners wanting a VoIP provider that offers virtual business phone numbers for personal phones should check out Grasshopper. Call the sales team or visit the company website for more information or to try Grasshopper with a 30-day money back guarantee. Voice over Internet Protocol (VoIP) technology transmits your voice as data over the internet instead of over copper wire used in landline phone systems. Digital voice data automatically converts to a regular signal when calling a regular telephone so that VoIP calls can be made to any phone number including mobile devices and long distance numbers. VoIP technology works the same way as the audio versions of apps like Facebook Messenger, Skype, or other conferencing services. VoIP phone service is packed with tools to help small businesses establish and nurture communications with customers. 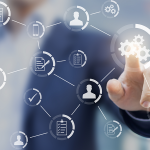 From CRM integration to multilevel auto-attendants, it’s important to choose the right features to help your business succeed. However, a good VoIP service should also be easy to use and have exceptional customer support that’s easy to access to keep potential downtime to a minimum. VoIP business phone service providers are an affordable option to replace landline phones. They offer features like unlimited calling, local and toll-free phone numbers, text messaging, and an auto-attendant that enhance communication with customers in ways traditional phones can’t. Businesses that want VoIP phone service that’s easy to use and has a great combination of features at an affordable price should check out Nextiva. The company offers a free demo of its product when you contact the sales team. Visit Nextiva’s website for details. VoIP technology has really become the fastest growing application on the internet and is being used by many businesses. I would like to add another great provider to the list i.e The VoIP Office (www.voipoffice.com), US based VoIP provider ideal for small business looking for VoIP solutions. Thanks for the recommendation. We’ll take The VoIP Office into consideration the next time we update this article. phone.com is much more than a “virtual phone number” service. It competes exactly in this space, with flexibility to use Voip devices… or not. High end monthly subscriptions… or not. We’ve been reasonably happy for several years. Yes, we quite like phone.com as well. It offers a good range of features for a reasonable cost. Hey, you can also have a look at on premise R-HUB web video conferencing servers. It provides 6 real time collaboration applications in one box. Thanks, we’ll take that into consideration. Why was Ooma left out of your business VOiP ratings? Ooma offers a good service, but we believed that the ones we reviewed reflected a wider range of options for different use cases. You’re right, long distance calls can certainly add up. If your business makes a lot of long distance calls, then 8×8 might work out to be the most economical solution if the countries you call the most are included in their plan.